The Graduate Student Resource Center and the Graduate Writing Center are located in the UCLA Student Activities Center (formerly the Men's Gym). The building is in the center of campus, across Bruin Walk from Kerckhoff and Ackerman, and next to the Ashe Center. 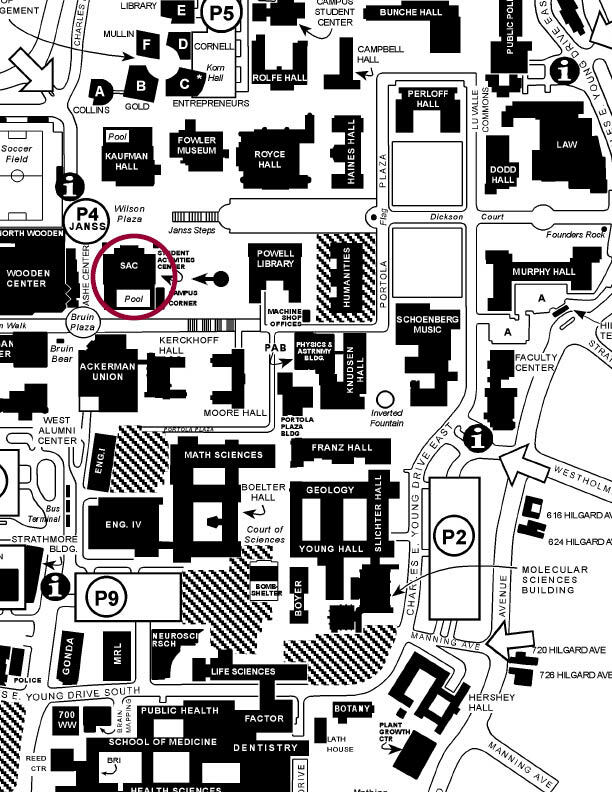 The GSRC office is in B11 of the Student Activities Center, on the basement level of the building. Conference Rooms 1-4, where many of our larger events are held, are also on the basement level of the Student Activities Center. Conference Room 5 is on the 3rd floor and is most easily reached using the elevator.